Carbon fiber handguards bring high-tech style to hand protection. 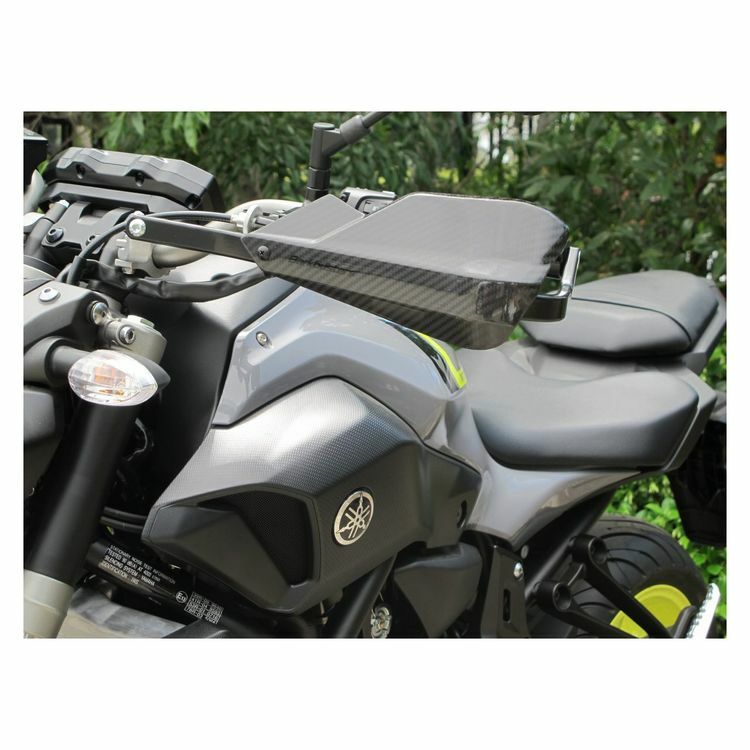 These carbon fiber shields attach to a full-length aluminum backbone that secures to your bars at two points for maximum strength. Barkbuster Handguard kits feature bike-specific hardware necessary to clear cables and hydraulic lines unique to each model.